I hope I am not opening a closed wound, but I have been reading the editorials posted on the ARCurrent website, specifically the articles concerning the Student Trustee Weaver controversy. I have read about Laurie Jones. I have read about President David Hylton II. I’m hurt. I was a student leader. I was YOUR Associated Student Body Student President and I see that I did not leave the school in capable hands. The few accomplishments that our Student Senate can feel proud about are greatly overshadowed by their ignorance of the historical tragedy that is the Holocaust. In 2008, American River College contained a board of student leaders who shared a similar prejudice towards those of the LGBTQ community. They passed legislation endorsing government legislation that specifically harmed this community. These student leaders, as they referred to themselves, are not leaders. The LGBTQ community is part of OUR community. They are OUR students. And if I was there, back at that time, I would have fought. My face would have been red with anger. My passion for defending those in our community who have faced any sort of prejudice would know no bounds. In 2015, American River College contained a board of student leaders with dissenting opinions concerning another group who has faced prejudice. This group is another part of our community, those of the Jewish faith. The prejudice that this group has faced. The tragedy that they have endured. The loss of loved ones. The battle against an actual villain in history. D-Day. Normandy Beach. Auschwitz. So many lives lost. I feel for this because I am a former military member. I raised my right hand just like those brave men who fought to free these people from death camps, atrocious inhumane constructs of pure evil. And yet, ASB did not really do anything. They did what college students usually do. Form opinions. Here’s the opinion of our student leadership, “I didn’t see it. I wasn’t there. I can’t say if it happened or did not happen.” Appalling. Simply appalling. I left ASB to later see the ARC community I care about adopt apathy towards history that SHOULD NOT BE REPEATED. We were taught about the tragic events of the Holocaust in 9th grade. At least I was and I hope other students were taught about this tragedy as well. It was hard for me to see the videos and the pictures. I have a weak stomach. But we were taught about the Holocaust not for academic curiosity. No no no. The reason we were taught about the Holocaust is TO NOT REPEAT THE HOLOCAUST. Turning a blind eye to this tragedy is the first step to garnering ignorance that can only lead to a similar tragedy. We can already see this happening in our government today. The treatment of those of the Islamic faith. The profiling of those in our African-American community by those who have sworn to protect them. Ladies and gentlemen, fellow students, we are not in a bright and sunny world where prejudice is a thing of the past. Prejudice is real. Prejudice IS the super villain of today’s world. Prejudice IS our enemy. The Holocaust happened. I would urge our ASB Student Leaders to issue apologies for what they have said and also any ignorance that they have shown towards this tragedy as soon as possible. 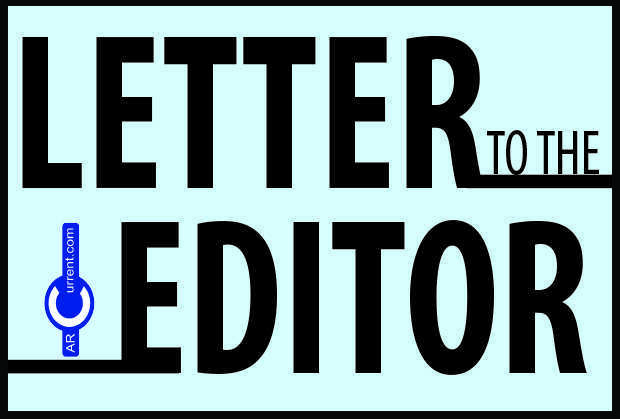 3 Comments on "Letter to the editor: The Holocaust Happened"
Garret Kegel is a COWARD. He was OUR President; How dare he question student leaders when he tucked his tail and ran as soon as things got difficult. It is easy to express this now, especially when he had no part. A majority of the people who voted not to remove Trustee Weaver are a part of the LGBTQ community that Kegel states. Both this and what happened in 2008 are within the Student Senate’s jurisdiction. Not that I approve either, but in both situations the board was governing according to their constituents, though I feel ill-informed in both cases. After everything went down I had an interview with Jordan about how I wish we had a judicious trail. Not a vote because a person says 4 people out of 35 thousand feel. I would have liked to have a survey to show the board what our students feel and then the board would have been informed how their constituents felt. First I never denied the happening. I questioned the numbers. So I’m then called a holocaust denier, but when the Washington’s Holocaust Memorial Museum questions numbers they are truth seekers. When anyone else questions they are Holocaust deniers. What HYPOCRISY. I know it happened. I will not apologize for seeking the truth or denouncing how Israel is/has/will treat the Palestinian people. If you want to stand up for the rights of the Palestinians, do that; I’ll be right there with you. However, the present mistreatment of the Palestinian people is a separate issue than arguing over how many Jewish lives were destroyed in the holocaust. Questioning the number dead is a pointless accounting exercise. The holocaust was a genocide; leave it at that.